Creativity and passion are perhaps the two most important qualities one needs in order to succeed in this fast-paced industry. Robert Masciave is brimming with both. Born in France to Southern Italian parents, Robert pursued a career in hairdressing after quickly realising that his first choice – electronics – was not for him. Once qualified, he arrived in the UK aged 19, to work at the Winchester salon of the legendary Guy Kremer. He progressed to Artistic Director – a role in which he excelled for 11 years. Then, in 1999, Robert made his dream a reality when he opened the doors to Metropolis Hairdressing, a chic, boutique-style salon in bustling Kingston-Upon-Thames dubbed 'the most stylish salon in the area' by Vogue. With a trademark style combining intricate cutting skills, jaw-dropping creativity and extravagant finishes, it's little wonder that Robert's work has brought him such success. His method of cutting – the 'Visagiste' technique – takes into account the client's hair, body, face shape and personal style, as well as her personality and lifestyle. You can see his tutorial videos on Hairtribe TV. 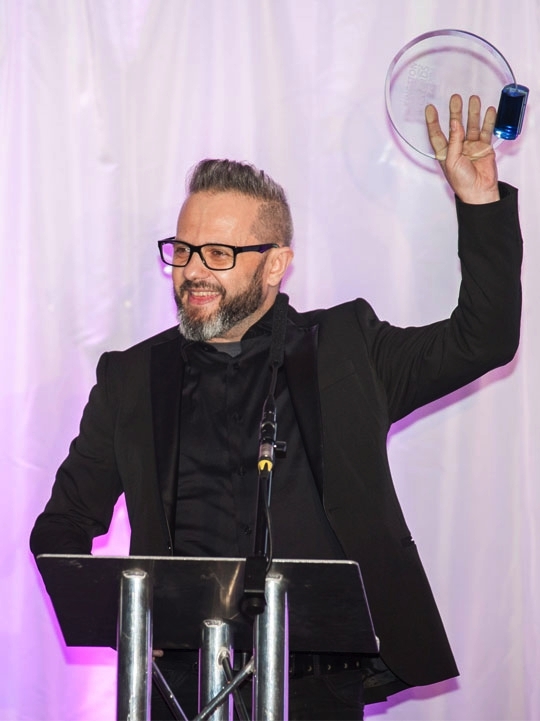 From international stage work and glossy magazine coverage to countless award nominations and wins, Robert is in great demand; he lists his greatest achievement as claiming the Fellowship Salon of the Year award not once, but twice. Robert is a respected professional, committed to advancing the hair industry. Former International Style Master ambassador for Revlon Professional, he's also the commissioner of the International Style Master competition to promote young hairdressing talent worldwide and has judged many competitions including the trendsetting Visionary Awards and L'Oreal Colour Trophy. Three times finalist for Southern Hairdresser of the Year and Avant Garde Hairdresser at the British Hairdressing Awards, Twice winner of the Fellowship salon of the year, Finalist at the international AIPP and Visionary awards, Winner of the L'Oreal Colour Trophy. 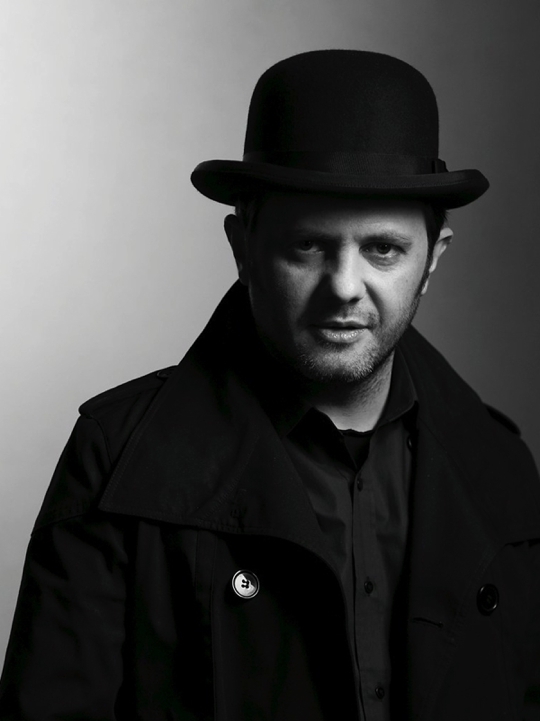 Together with his salon, Robert has positioned himself as one of the top world hairdresser. He has been featured in most major international and uk magazines including Estetica, Tribute, Cosmopolitan, Marie Claire, Elle and Vogue. He has also presented his distinctive work on stage at some of the biggest hairdressing shows in the world, including London Fashion Week, Salon International, the International Beauty Show in Paris and Dallas, L'Oreal shows in Asia, Revlon style masters around the world and the alternative hair show at the prestigious Royal Albert Hall. Relentlessly passionate about his work, he continues to evolve as a craftsman, teacher and businessman. 2014 - Bristish Hairdressing Awards Finalist Avant Garde Hairdresser of the Year. 2014 - Winner of the Best UK Salon of the Year. 2014 - Best Customer Service of the Year. 2013 - Metropolis Hairdressing - Kingston Business Awards WINNER. 2013 - Robert Masciave does Alternative Hair Show. 2013 - Robert Masciave judge at Style Masters Global Contest and the Visionary Awards. 2013 - Robert Masciave workshop leader for FAME Team. 2012 - Bristish Hairdressing Awards Finalist Avant Garde Hairdresser of the Year. 2012 - BHA Metropolis Art team Finalists Avant Garde Hairdresser of the Year. 2012 - BHA Metropolis Art team Finalists Southern Hairdresser of the Year. 2012 - AIPP Avant Garde Finalist. 2012 - International Visionary Awards Avant Garde Finalist. 2010 - WINNER of the Best UK Salon of the Year. "Best UK Salon of the Year 2010 & 2014" - Fellowship for British Hairdressing. · UK: L'Oréal two-week tour "Les Collections"
· FRANCE: Show in BEZIER.